Spring is in the air! This is a beautiful time of year here in Denver, Colorado, with lots of amazing opportunities for family-friendly fun! While there is plenty of fun to be had in the city, spring is also the perfect time of year to take advantage of all the natural beauty we live so close to! Whether you’re looking for an invigorating family hike or a laid back picnic day, there is something here for everyone. Read on to learn more about some of the great family fun the Denver area has to offer! 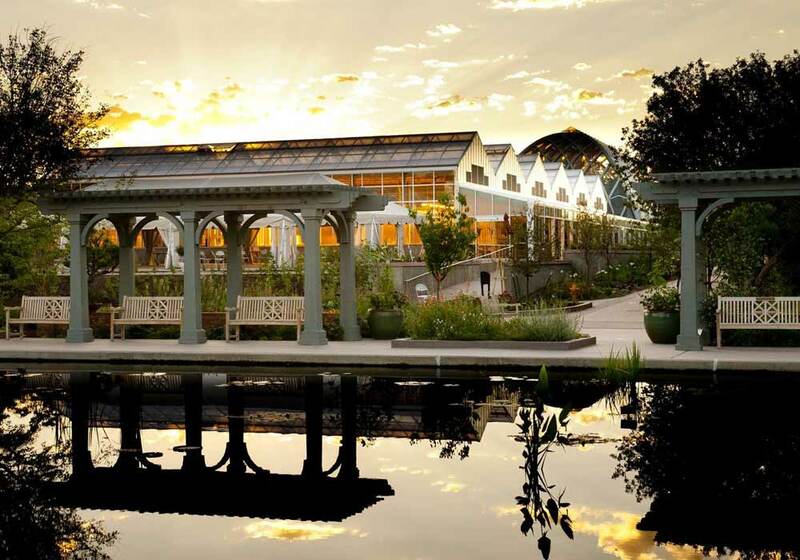 The Denver Botanical Gardens has two locations, and the York location actually offers a garden specifically designed for children to play in! Mordecai Children’s Garden is a magical 3-­acre oasis that provides a unique opportunity for kids to experience the plant life and natural environment of six different ecosystems in Colorado. These ecosystems continually change throughout the spring, summer and fall, so no two visits are the same. If you haven’t taken your kids there in the past couple of months, they’ll be seeing a whole new world! The garden is recommended for kids ages 1-8. Though children of all ages are welcome to come and play. The Garden of the Gods Park is a registered National Natural Landmark that features towering sandstone rock formations against a backdrop of snow-capped Pikes Peak and beautiful blue skies. They have one of the most photographed views in Colorado. If your child is interested in nature, consider checking out the The Garden of the Gods Junior Ranger program! The program is open to children ages 7 to 12. Interested families can pick up a fun-filled activity booklet for $2.00 at the information desk in the Garden of the Gods Visitor & Nature Center. Once the booklet is completed, your child will be introduced to the other visitors over the PA system as the park’s newest Junior Ranger. Your child will also receive a badge and certificate for no additional charge! It only takes an hour or two to complete these activities, and your family is sure to have a blast! If your child is interested in the prehistoric, then Dinosaur Ridge is the perfect place for you! There are lots of wonderful and unique views and displays for the whole family. They even offer two Kids Dig areas, where children can learn about how paleontologists search for fossil evidence, interpret the evidence, and identify the dinosaur from the bones. An interpretive sign helps explorers as they get a chance to see how evidence of a dinosaur skeleton may be found in a real dig site! At the Seaweed Fossil Box, kids even have the opportunity to keep one of the fossils that they find! Getting outside for active play time is a very important part of our young patients’ overall health. Another great thing about these places is that you can bring your own food, ensuring your child still gets a yummy and tooth-healthy lunch! If your child is ready for their next pediatric dental appointment, call our office today. We see patients all across Aurora and Denver! Previous post:What is a Baby Root Canal?